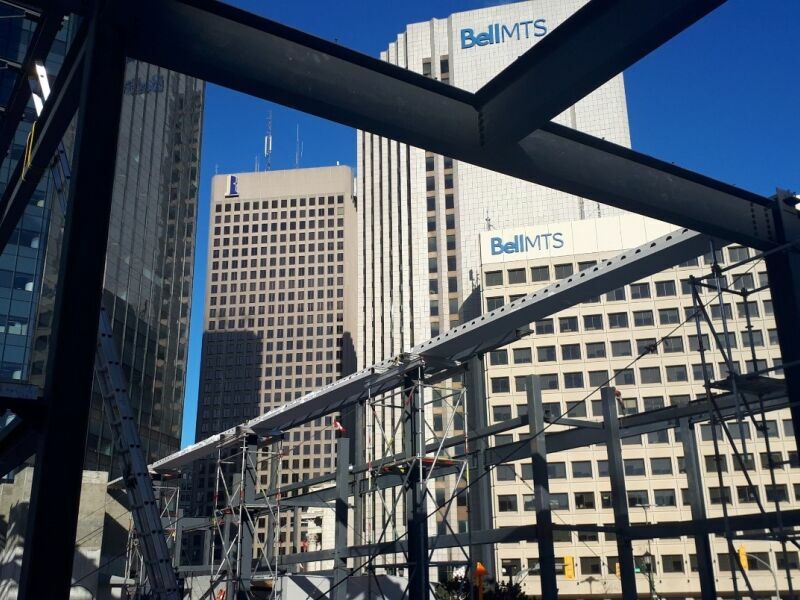 300 Main is a mixed-use 42-storey project on the corner of Main Street and Graham Avenue in Winnipeg. Once completed, the $165M project, will consist of office and retail space in the lower levels and residential above the commercial space. This 466-foot (142m) tall high-rise will be the tallest building between Toronto and Calgary. 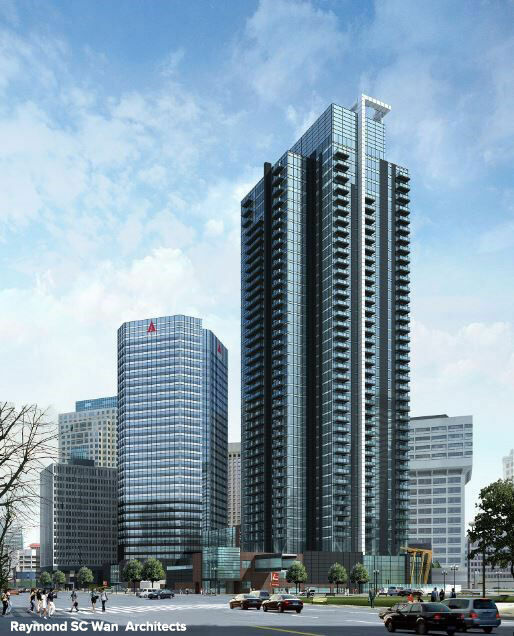 This new tower will be using the same foundation pad as 360 Main, an adjacent 30-storey tower built in 1979. 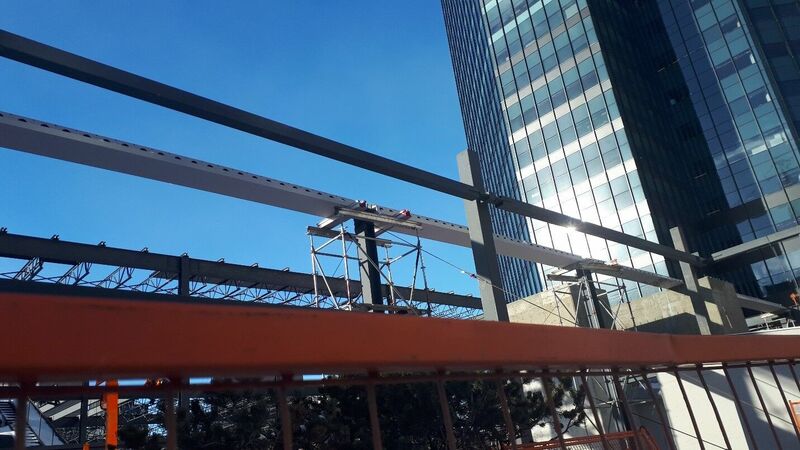 Since the combination of DELTABEAM®, hollow-core slabs and steel columns is much lighter than 360 Main’s cast-in-place structure, the developer was able to increase the number of floors to 42. 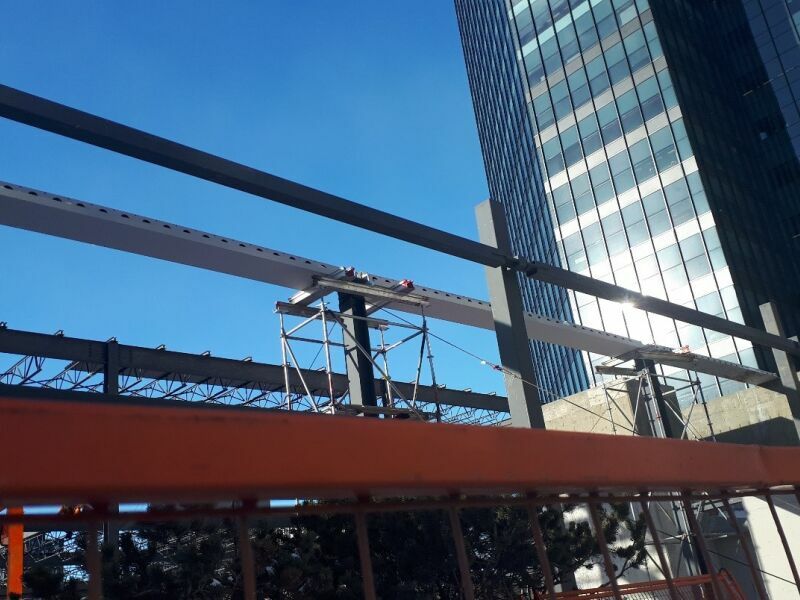 The option of using hollow-core slabs with wide flange steel beams was also considered for the new tower but this solution would have resulted in a building at least 50 feet (15 m) taller which would have increased the total price of the project significantly. The added advantage of DELTABEAM®’s 2-hour fire rating without additional fireproofing also provided substantial savings. The owner is Artis Reit, a commercial real estate investment trust, who also owns several properties in the area. The architect firm responsible for the project’s design is Raymond SC Wan Architects. Crosier Kilgour & Partners Ltd., an award-winning structural engineering firm, was chosen to complete the structural design while Marwest received the contract as the general contractor. 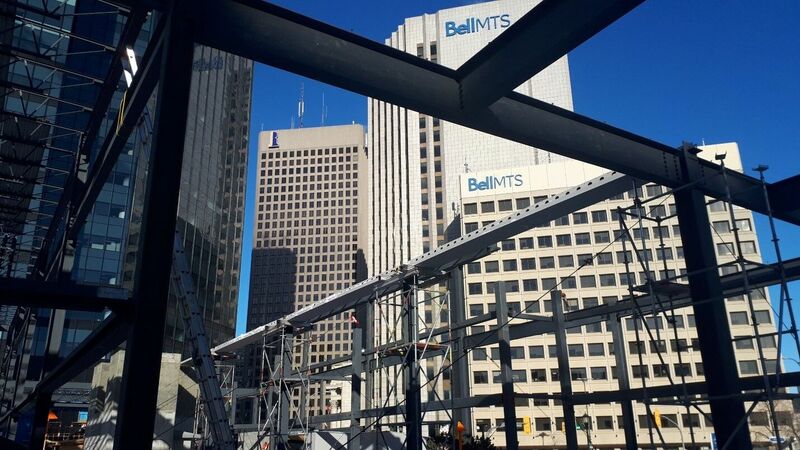 300 Main is scheduled for completion sometime in 2020 and once complete will be the tallest building in Winnipeg. Crosier Kilgour & Partners Ltd.